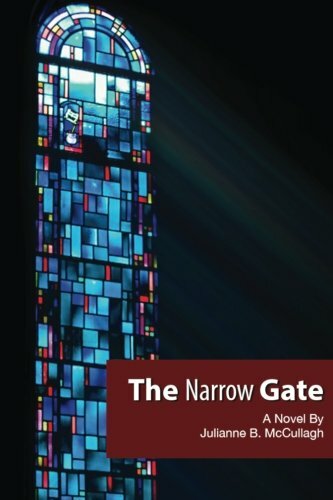 The Narrow Gate is now available in softcover and Kindle versions! Rose Banfry McGuire’s world shatters when she meets a young man at her father’s funeral who seems familiar, though this is the first time they have met. When this young man shakes hands with her brother, Rose sees the resemblance, and the past thirty years of secrets and lies collapses into the stark fact of him. The Narrow Gate is a novel of three generations of Banfry women who deal with scandal, shame and heartbreak. At the center of each of their lives is the Church, which they both embrace for its comforts and struggle against for its demands and its faults. Each woman must face the ultimate test of faith: Can I forgive? Julianne McCullagh is a Mayborn Literary Conference First Place winner, has been published in Rose and Thorn Literary Journal, Ten Spurs Journal, is a Writer’s Digest Literary Fiction winner, wrote a series for Loyola Press, and has been a writing instructor at The Writers Garret, Dallas. You can read more of her work right here at gracenoteslive.com. You can follow her on Twitter @JuliMcCullagh. Click here to download the Press Kit for The Narrow Gate.